Dr. Rao Mikkilineni, Co-Founder Consumers today expect communication, collaboration, and commerce transactions to happen at the speed of light. Applications that deliver this seamless performance need to respond in real-time irrespective of the external factors—from fluctuations in workload and traffic to the failure of endpoints and bare metal servers. However, the overdependence of applications on infrastructure and the associated resources are often a roadblock to achieving this. For instance, a sudden surge in traffic to an e-commerce application during an ongoing flash sale will trigger alarms at the application management base, requiring operators to allocate computing and storage resources to deal with the demand. In fact, developers are required to foresee such scenarios and build fail-safe mechanisms, which make application development a lengthy and chaotic process. Now imagine an application that can mimic the ability of a living thing to self-regulate its body conditions such as temperature and blood pressure to suit the environmental and situational needs. “That is what our real story is. We are making applications become self-aware and self-managing rather than waiting until the infrastructure responds,” says Dr. Rao Mikkilineni, co-founder of C3DNA. 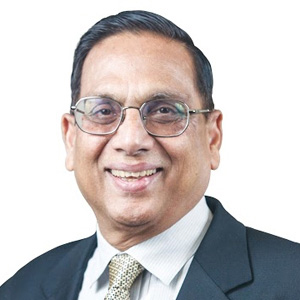 Since 2009, Rao and his team including Dr. Giovanni Morana and Surendra Keshan who joined in 2015 have been pioneering this new approach to application management, enabling applications to know when, where, and how to allocate resources themselves in order to deal with the demands of workload, availability, security, and performance. Interestingly, the genesis of C3DNA takes cues from a book written by neuroscientist Antonio Damasio, which speaks about how multi-cellular organisms evolved to sentient beings in the pre-Cambrian era. “I realized that a lot of possibilities could be explored if this ability is replicated in application management,” says Rao. He, along with Kumar Malavalli—the founder of Brocade Communications—developed a distributed intelligent managed element (DIME), the core patented technology of C3DNA. C3DNA reforms the enterprise business process automation, which Rao describes as the beginning of a third era, following an initial era of high-performance servers, network and storage devices, and the second era of virtualization of such hardware. While the first era was dominated by infrastructure giants like IBM, Cisco, and Intel, the virtualization wave was controlled by the likes of VMWare and Nutanix. C3DNA’s disruptive cognitive application area network (CAAN) management technology punctuates an era of sentient, infrastructure-agnostic enterprise applications, eliminating the complexity of IT management and the plethora of tools involved in configuring application performance. The solution significantly improves availability, performance, security, regulatory compliance, and cost-effectiveness by enabling applications to respond to rapid fluctuations during runtime. As a result, C3DNA can offer its customers the much-desired five nines of application uptime even when the availability of infrastructure is less than four nines. While current IaaS, PaaS, and all other XaaS providers aim at reducing the time-to-market, optimizing costs, and improving developer agility with real-time infrastructure provisioning, an area that lacks significant focus is the assurance of quality of service (QoS) during runtime. Infrastructure orchestrators try to make their containers and virtual machines intelligent and aware of applications and associated networks. However, in order to obtain knowledge about the application and manage its complete lifecycle, it is necessary to rely on multiple external tools, which increases complexity and cost of management. C3DNA has reversed this approach by making applications aware of the infrastructure they are built on. The management and operation of infrastructure-agnostic applications hence provide the customers with end-to-end application workload visibility and real-time control that assures the quality of service—all without disrupting the user experience. “Our technology is completely overlay based, meaning customers don’t have to change their data paths, applications, operating systems, or development methodology,” adds Rao. C3DNA’s cognitive application management platform (CAMP) breaks new ground in decoupling the development and operations environment, whereby developers can focus on the functional requirements of the application and need not worry about the infrastructural expectations. The application reconfigures itself as per the non-functional requirements and QoS standards set by the operations team. This architecture helps C3DNA’s customers steer away from the costs and complexities involved in fork lifting and transforming their IT and business processes. C3DNA performs the migration of applications to a self-managing application area network in three binary steps. 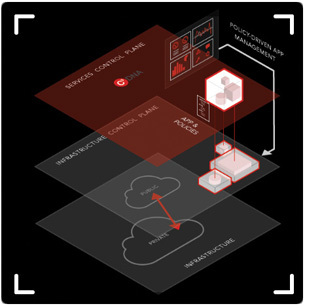 First, the applications’ ‘DNA’—policies, endpoints, components, configuration, and workflow—is captured, then the distributed application control platform that interprets the DNA is implemented as an overlay, followed by an agent-based mechanism that encapsulates and delivers its infrastructure-agnostic capabilities to the application area network. These steps are performed in a transparent manner without disrupting the customers’ business, although bringing a paradigm shift in their business processes themselves. “The deployment is not cloud native, but cloud agnostic, as we have a multitude of partners in both public and private cloud who can implement the solution quickly,” highlights Rao. This offers the necessary scalability for the customers to up their game in a simple and automated manner. One such customer was a user of Adobe Experience Manager who wanted to scale the application to meet the fluctuating workload demands and also deploy successful campaigns in multiple geographies using local cloud providers. C3DNA’s solution not only streamlined and automated the application management process at a larger scale for the customer but also provided application mobility across various clouds. “Our unique differentiation is in making legacy applications cloud-ready and migrating them to a cloud of choice or a multi-cloud network,” adds Rao. "We truly believe we are at the forefront of creating a next-gen cognitive business process automation era"
The new computing model of C3DNA also brings a comprehensive layer 7 protection that is independent of the security given by distributed infrastructure or cloud providers. This capability brings an optimistic change to transaction and service security management, giving end-to-end visibility and control from core to edge devices. Applications interact with everything on the application area network with the help of service connections. C3DNA is shifting the focus of security from device management to connections management, allowing the application to switch, reroute, or disable the connections to edge devices, bare metal servers, and storage. C3DNA’s success stems from a small team based on sound theory. “Being at the edge of innovation may seem like boiling the ocean. But without boiling an ocean, you can’t make big clouds. We learn at C3DNA that unless we address the fundamental computing model, we cannot change the paradigm,” remarks Rao. The company works in close collaboration with best-in-class technology partners to provide early adopters of cloud with the ability to stay ahead of their competition in terms of scalability, cost-effectiveness, and security.